Anguti, a young Inuit boy, lived during the winter months on an island along the Labrador coast. He and his sister spotted an udjuk (square-flippered seal) out on the ice. Their little hunting trip turned into an adventure when they were set adrift due to the cracking of the sea ice. Anguti’s Amulet is a fictional story inspired by the students who worked at the archaeological site at Long Tickle, Labrador from 1999 until 2003. Although the characters and storyline are imaginary, the story is based on information gleaned at the Inuit village site, historical documents and oral history. The second half of the book explains how archaeology informed the story. Through photographs, diagrams, labelled drawings and informational text we are given a close-up look at the remains of three sod houses and the artifacts that were found there. Many of these historical items are also imbedded in the illustrations of the story. The reader is taught to identify them and is invited to go back into the story to find them. Classroom Connections: The Central Coast of Labrador Archaeology Partnership is a cooperative education and research project with the community of Makkovik, Labrador. 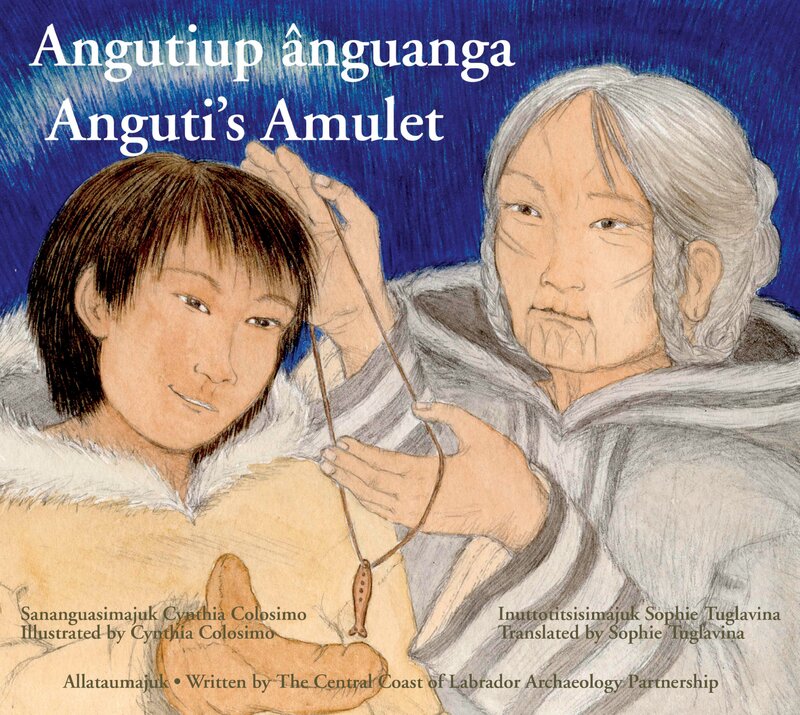 Anguti’s Amulet was originally written as curriculum for Inuit students in that area. The fictional story and the informational text are written in English and Inuktitut with a mini-glossary on each page. Besides connections to Social Studies curricula, this book provides many opportunities for students to practise using visualization as a strategy to develop a deeper understanding of the life of the Inuit during the late eighteenth century. I would highly recommend this book as an effective teaching tool at multiple grade levels.